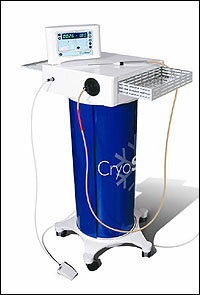 Cryosurgery Treatment for Neuromas, Plantar Fasciitis, Tendonitis, heel and arch pain performed in the office. Dr. Kelly Oliveros is one of the few podiatrists in NJ to offer this technology. Diabetic Wound Care - Dr. Kelly Oliveros dispenses diabetic shoes for patients that qualify under Medicare's Diabetic Shoe Bill. We treat diabetic patients regularly to prevent future ulcers and possible amputations. Diagnostic Technologies - Dr. Kelly Oliveros performs non-invasive vascular studies, diagnostic ultrasound, digital radiology and shock wave therapy in the office. These technologies aid in immediate diagnoses and treatment of peripheral arterial disease, soft tissue/ tendon pathologies, and osseous abnormalities. These studies and treatments are performed in the comfort of the office. Sports Injuries, Trauma, and Custom made Orthotics - Dr. Kelly Oliveros provides care and modalities like shockwave therapy for athletes with pain and injuries. They make custom orthotics to help remedy some of the most common problems athletes face. Surgery - Our office performs all types of foot and ankle surgery. We can do minimally invasive procedures and those that are done in the hospital. Dr. Oliveros is a foot and ankle surgeon.